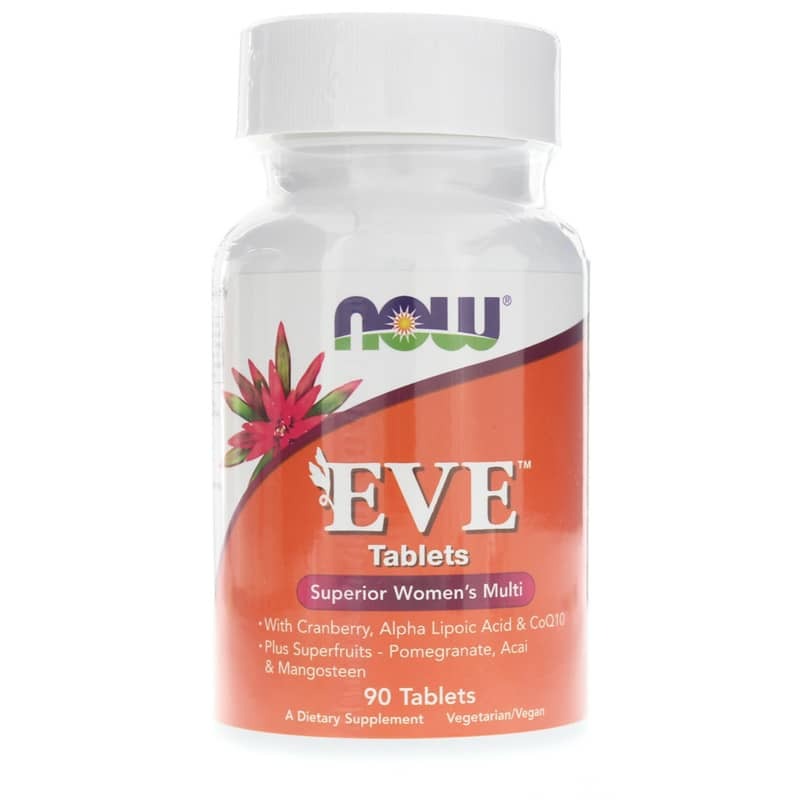 NOW EVE Womens Multiple is a superior multiple vitamin supplement that has been designed for women of all ages and includes cranberry, alpha lipoic acid, CoQ10 and superfruits. 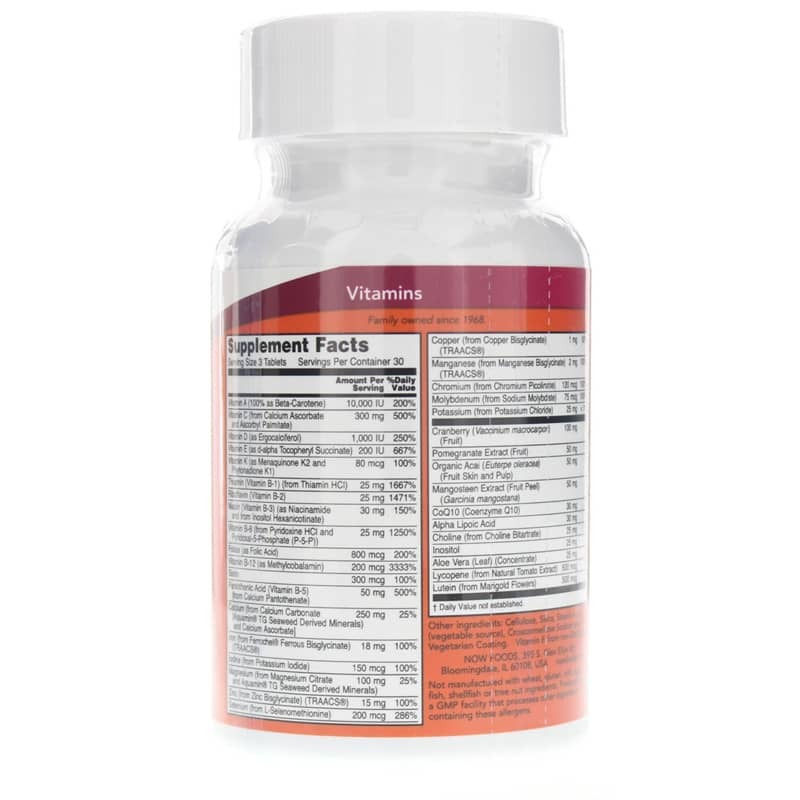 Other Ingredients: Cellulose, Silica, Stearic Acid (vegetable source), Croscarmellose Sodium, Vegetarian Coating and Chlorophyll. 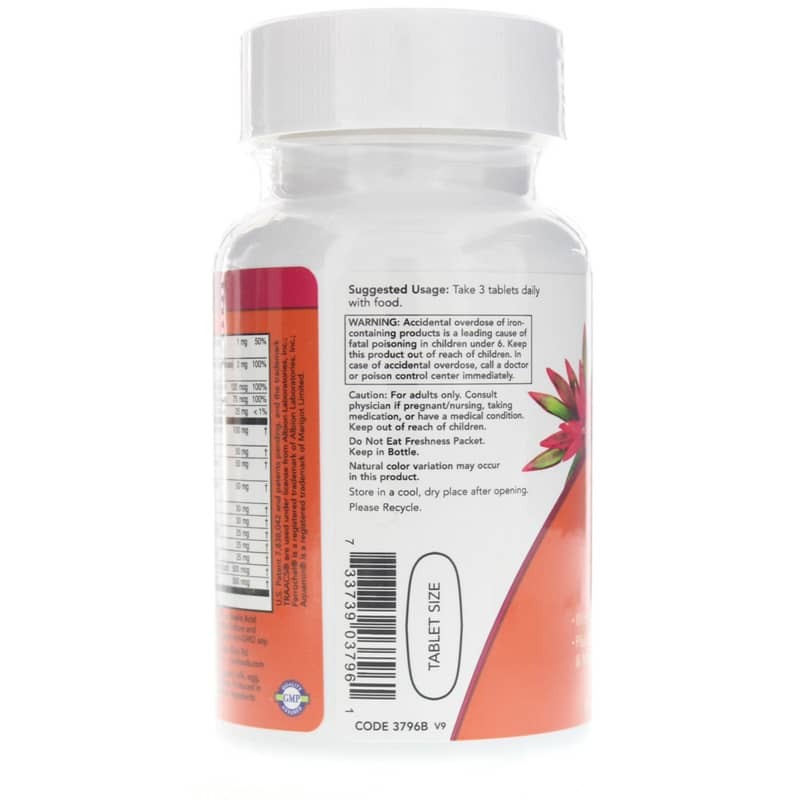 Adults: Take 3 tablets daily with food. For adults only. Consult physician if pregnant/nursing, taking medications, or have a medical condition. Accidental overdose of iron containing products is a leading cause of fatal poisoning in children under 6. Keep this product out of the reach of children. In case of accidental overdose, call a doctor or poison control center immediately.